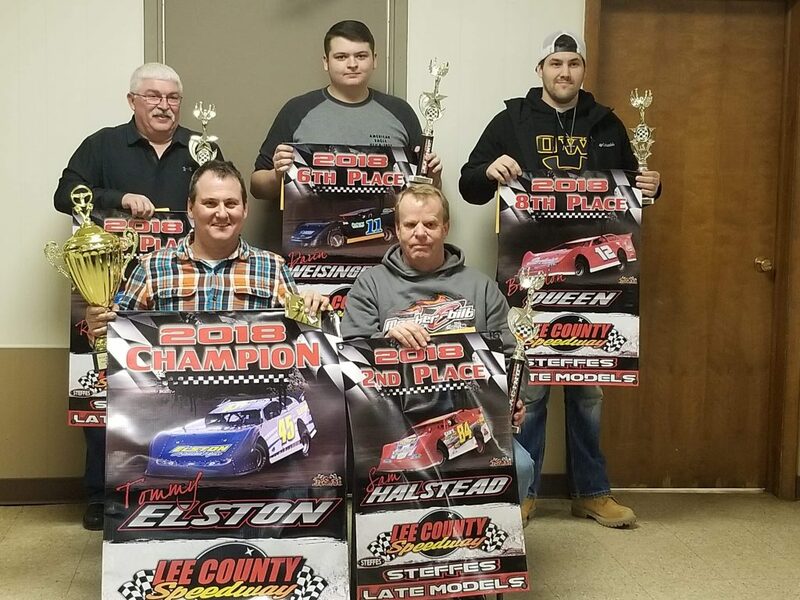 Steffes Late Models (Front row L to R) champion Tommy Elston and Sam Halstead 2nd. 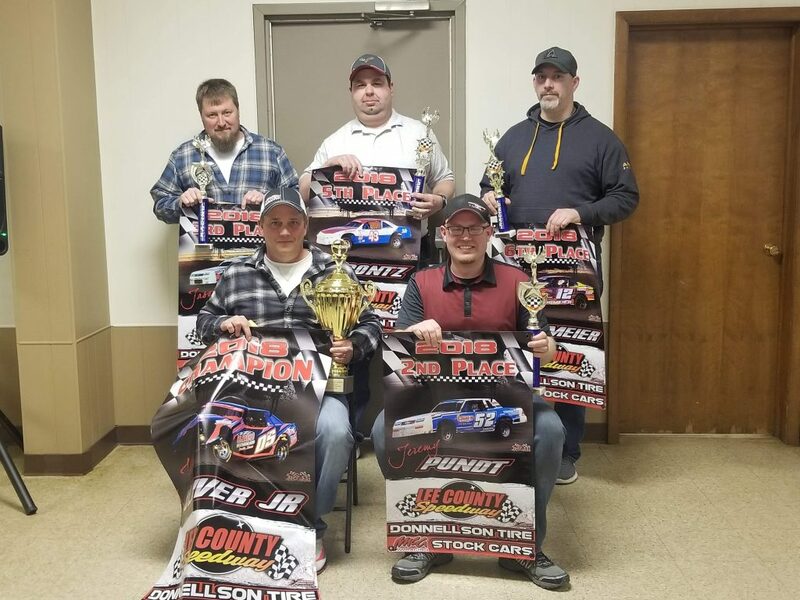 (Back row L to R) Ron Boyse 3rd, Darin Weisinger Jr. 6th, and Brandon Queen 8th. 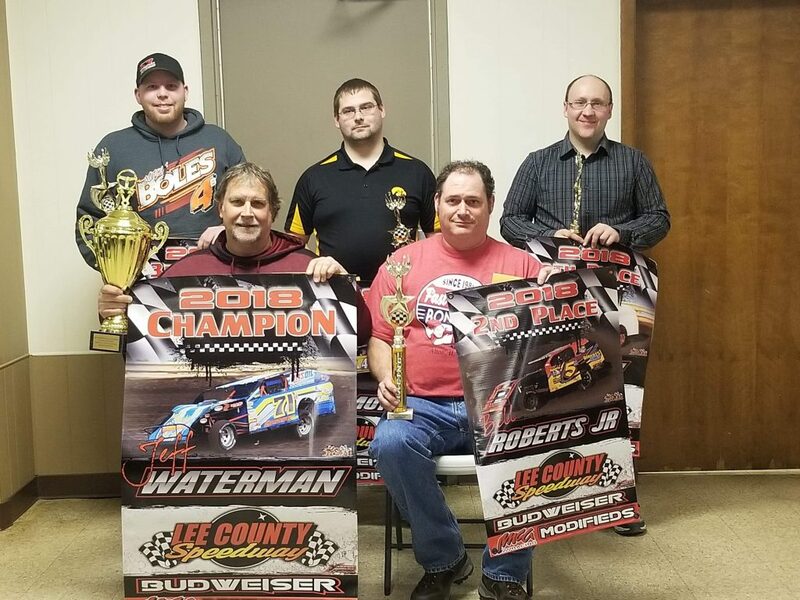 Budweiser IMCA Modifieds (Front row L to R) champion Jeff Waterman and Ed Roberts representing Bill Roberts Jr. 2nd. (Back row L to R) Mitch Boles 3rd, Dakota Simmons 5th, and Levi Smith 9th. Donnellson Tire & Service IMCA Stock Cars (Front row L to R) champion John Oliver Jr. and Jeremy Pundt 2nd. (Back row L to R) Jason Cook 3rd, Kevin Koontz 5th, and Chad Krogmeier 6th. 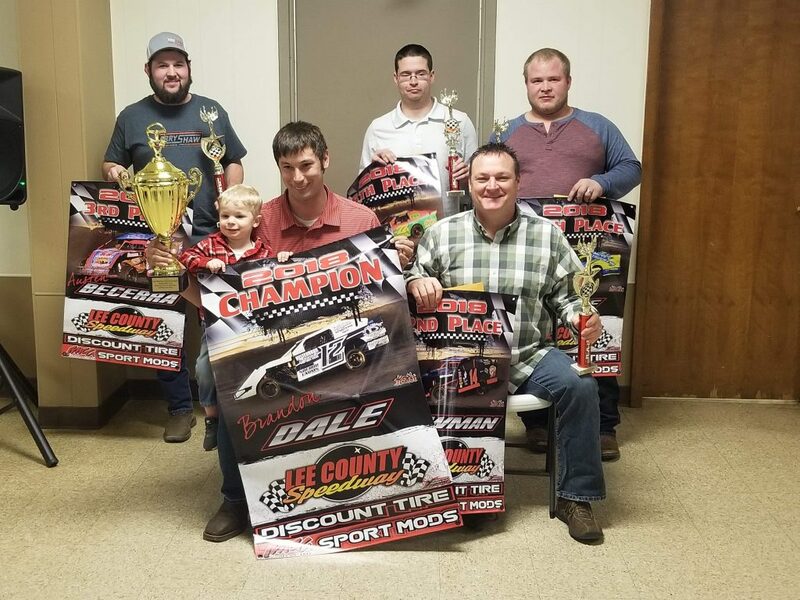 Discount Tire & Service IMCA SportMods (Front row L to R) champion Brandon Dale and Bob Cowman 2nd. (Back row L to R) Austen Becerra 3rd, Kyle Hamelton 5th, and Ron Kibbe 10th. 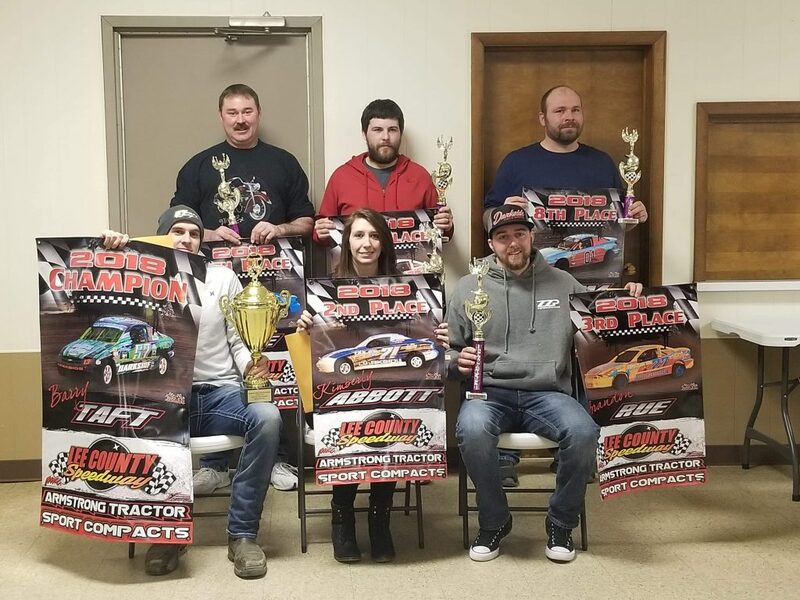 Armstrong Tractor IMCA Sport Compacts (Front row L to R) champion Barry Taft, Kimberly Abbott 2nd, and Brandon Reu 3rd. (Back row L to R) Mike Reu 4th, Jake Dietrich 5th, and David Prim 8th. 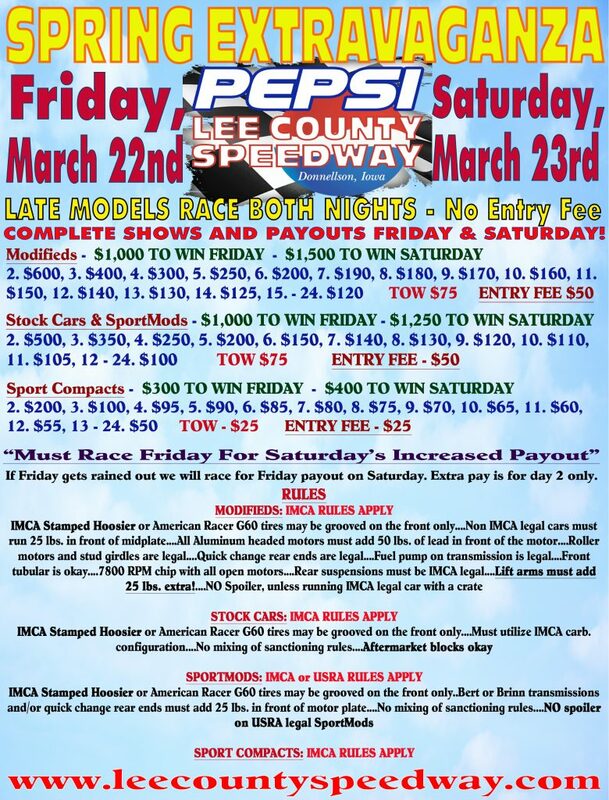 On Saturday, February 16, 2019 the Pepsi Lee County Speedway will honor the top 10 driver’s in the final 2018 point standings in the Steffes Late Models, Budweiser IMCA Modifieds, Donnellson Tire & Service IMCA Stock Cars, Discount Tire & Service SportMods, and Armstrong Tractor IMCA Sport Compacts. This will take place at the Knights of Columbus in Houghton, Iowa, located at 413 Main Street. You must attend the banquet to receive your award for the 2018 season. 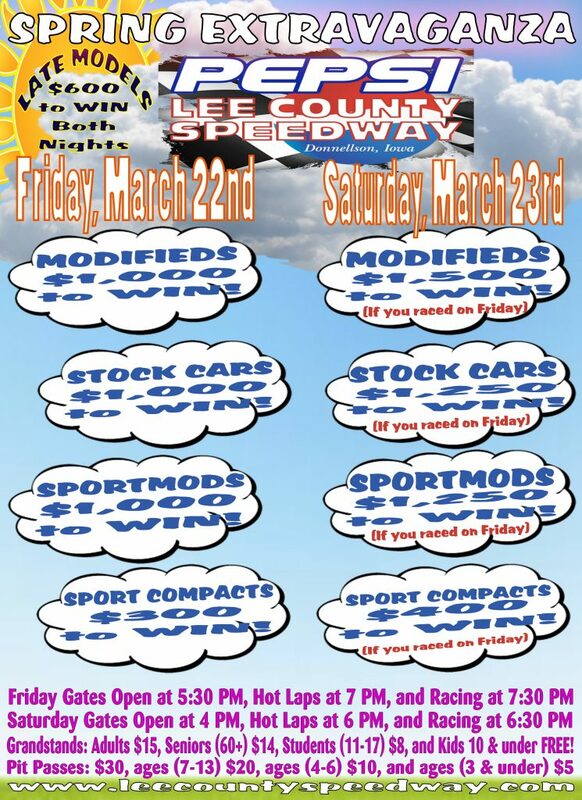 The night will be filled with fun racing trivia, so make sure you study up. 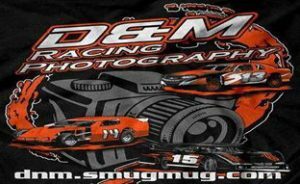 You must have your reservations in on or before February 2nd to insure your award is ordered. So please get those reservations completed now!